You are here: Home / What? Another Giveaway? OK! Have I mentioned my new Etsy crush? I haven’t? Oh I must tell you about it…. I am in love with Twenty Five Design. IN LOVE. First of all, Torie, the lovely lady behind the rosettes, saved my hair do this summer. I had a wedding to go to and NOTHING to do with my hair. Torie jumped in and told me about Twenty Five Design and how she can custom a headband for my outfit. It even looked ok when I had to slick my hair back into a pony tail from all the sweating and dancing I was doing! That is a sign of a quality hair accessory! Anyway, you can imagine how excited I got when Torie wanted to do a giveaway! Now I can share her awesome with YOU! Aren’t they way cute? She has a gallery of headbands and other hair accessories in her Etsy Shop. She also loves to do custom orders. I have one that is royal blue and white–the school colors of the high school where I teach–so I can wear it on spirit days. And she has tons of new colors coming out for this fall to match all of your new autumn clothes! Sooo…what is the giveaway? 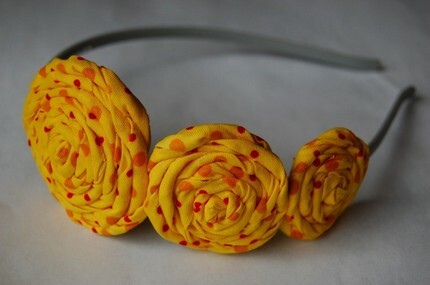 YOU…yes YOU…could win one headband of your choice (either from Torie’s shop or a custom order) from Twenty Five Design! Leave me a comment here telling me what you would get if you won. *follow 25design on twitter (come back and tell me you are). *”like” Twenty Five Designs on facebook (come back and tell me you do). I am giving you FIVE ways to enter! FIVE! Pretty awesome! Good luck! This giveaway will be open from Wednesday, September 1st at 6am est until Saturday, September 4 at 12am est. Winners will be announced by noon on Saturday, September 4th. This giveaway is open to US and Canada Residents only. Sorry rest of the world. You know I love you too! *Disclaimer: Twenty Five Designs is providing the spoils of this giveaway. I was not compensated for this review/giveaway in anyway. 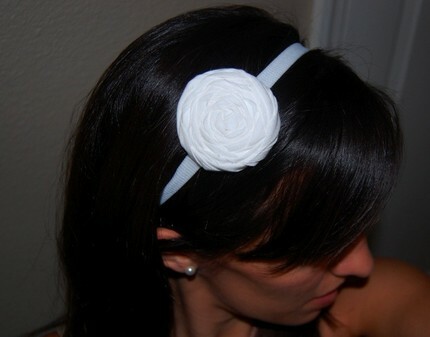 I own two headbands by Twenty Five Designs that I purchased myself. And anyway? My opinions can’t be bought. I love the black with red bow headband. It's just so classic. It reminds me of ones I had when I was little. I just bought an amazing gray cardigan that will surely be my go to piece this fall and winter, so I would definitely get something that matched! I follow @25design on Twitter! I'm so ridiculously in love with 25Design!! I need a new fall headband too! And I already follow 25Design! I "liked" 25Design on Facebook! i follow 25 design on twitter! AHHH!!! I want to win! I want to win! And I lovelovelove the idea of getting one in the school colors for spirit day! LOVE. Definitely turquoise and black. Live. Need. Want. Probably won't win but can hope!!! Like on facebook why yes I do! I'll do the FB stuff tonight! If I won, I would custom order a scarlet and gray headband for OSU games! If I don't win, I am planning on buying one when I get paid again! They are sooo cute! I follow 25design on twitter! Headbands are so my accessory. I am also turning 30 on the 4th so I need to feel young and sassy. Me likey!! I liked 25designs on facebook! Cute! I like the shades of blue headband! I just adore Torie's shop! The Shades of Pink is my current favorite, and I also love the Yellow Stripe Ruffle headband. i love the fall colors headband! i follow 25 designs on twitter. So pretty! I'm so into hair accessories now. I'm also into purple so the purple and gray one was my favorite. I seriously almost said like 7 other ones. If I won I would have a reeeeally hard time picking. I LOVE her stuff!!! 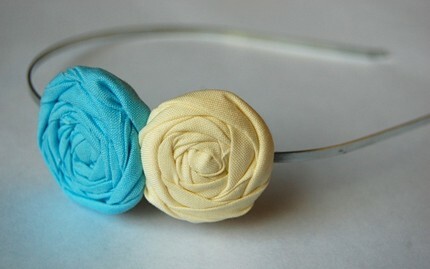 I want the Shades of Blue Flower headband! Adorable! I would get the football game day one in Michigan colors, because they are also the colors of the school where my husband coaches! OH I love the touch of purple headband! I'd get that one! Aw I love Torie's shop! So freakin' cute!! I would LOVE one with brown and cream (I always wear those colors). How did I almost miss this!?! I was waiting for it! I love the teal and black ones on her Etsy shop! I follow @25designs on twitter! I LOVE them all!! The new purple and grey colors are super cute! !